Payne and Son. :QUICK LINKS: Jewellers and Silversmiths, Royal Tunbridge Wells, Kent, England. 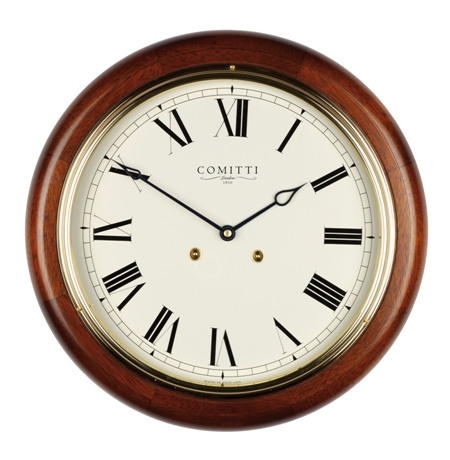 Comitti of London have been makers of the finest quality clocks and barometers for over 150 years. Many of the styles made in the early days continue to be available today, they are recognised as English classics and the originals sought after as valuable antiques. The company continues to this day as a family-run business designing and making traditional and contemporary pieces. We also offer a bespoke maintenance and restoration service for all antique clocks and barometers. Today Comitti enjoys an international reputation for outstanding workmanship and service. We can arrange a service on your Comitti clock. There's a £50.00 carriage charge which is redeemable against the cost of the service, prices start from £495.00 for mantle and wall clocks. A professional photographer, based in Tunbridge Wells, David Bartholomew (www.davidbartholomew.co.uk) has lived in the town all his life. David's long-standing passion for architecture has fuelled his close interest in the changing face of the town over the years. When changes were proposed to the very heart of Tunbridge Wells – the Civic Buildings – David decided to create an online gallery as a permanent record of the town's best-known buildings and landmarks. The Tunbridge Wells Project was born. As the huge size and scope of the project became clear, David invited Christopher Cassidy to join him. ( http://anke.blogs.com ), written under the pseudonym ‘Anke', records life in Tunbridge Wells through words and images, creating an invaluable social document for historians, sociologists, travellers and Tunbridge Wells residents. Christopher has provided vital photographic and creative support for the project. With an impressive portfolio, spanning an ever-growing customer base in and around the South East of England, David Bartholomew's creative and innovative imagery speaks for itself. Based in Tunbridge Wells, he excels in capturing the essence of his clients' needs and with years' of experience and a natural eye he is able to interpret specific requirements for individual projects , making the 'photoshoot experience' an exciting and positive event for all those involved. His love of technology, coupled with his passion for photography, enable him to go from strength to strength, pushing the boundaries of what is possible at every turn. David is happy to talk to you about YOUR vision, whatever the project, and to how best to achieve your goals.